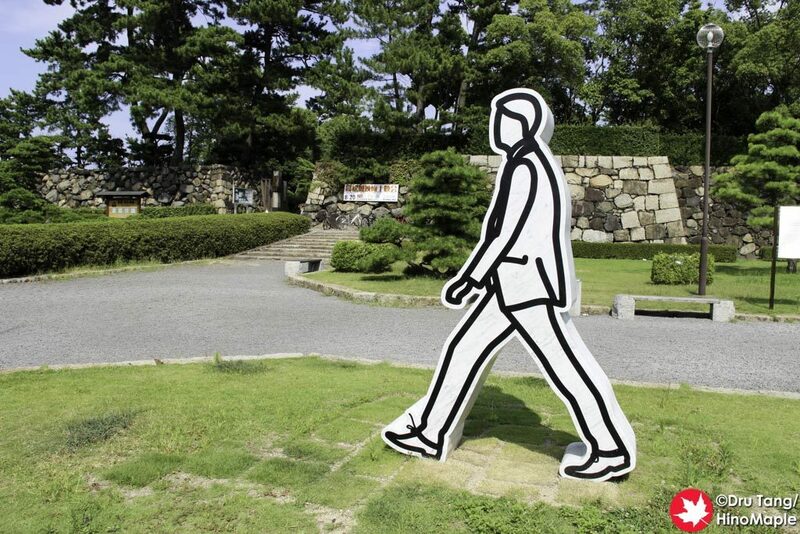 Takamatsu is the main base for the Setouchi Triennale but that doesn’t mean it is devoid of art. There are lots of artworks to see both in the port area as well as outside the port area. Most of the artwork has not changed since 2013 but the artwork continues to grow. Liminal Air -core- is what I would consider to be the symbol of the Setouchi Triennale. 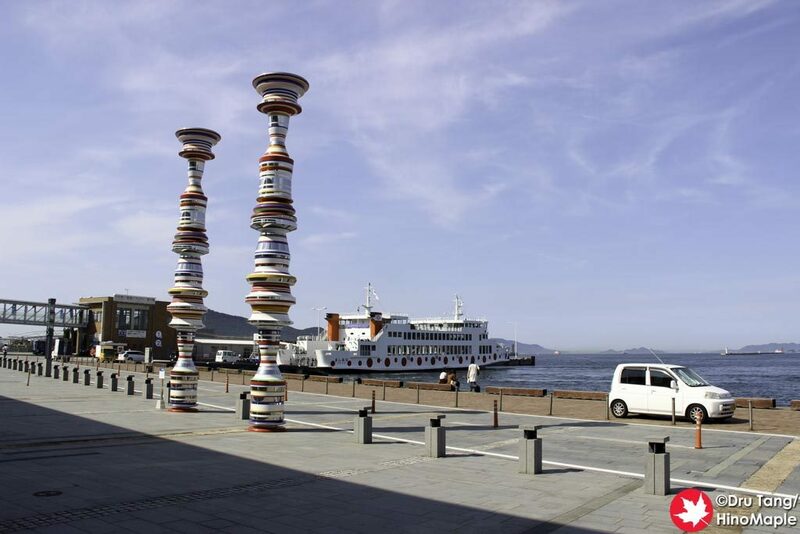 Shinji Ohmaki created 2 pillars in the port area, right between the berth for Meon and the ferries to Shodoshima. When visiting the various islands, it is difficult to not see this artwork as it is both a gate to leave as well as return to Takamatsu. While most people will just take a quick look and move on, I found it very relaxing to sit near it and just enjoy it along with the movement of the ferries. Beyond the Borders – the Ocean is a huge artwork by Lin Shuen Long that seems a lot more mobile than I would have ever thought. The artwork was originally on a beach in Teshima for the 2013 Triennale but for 2016 they brought it back and placed it in Takamatsu. From what I read, Beyond the Borders actually resides in Taiwan but in its current location it seems like it may become a permanent exhibit. I don’t believe so but I could be wrong. 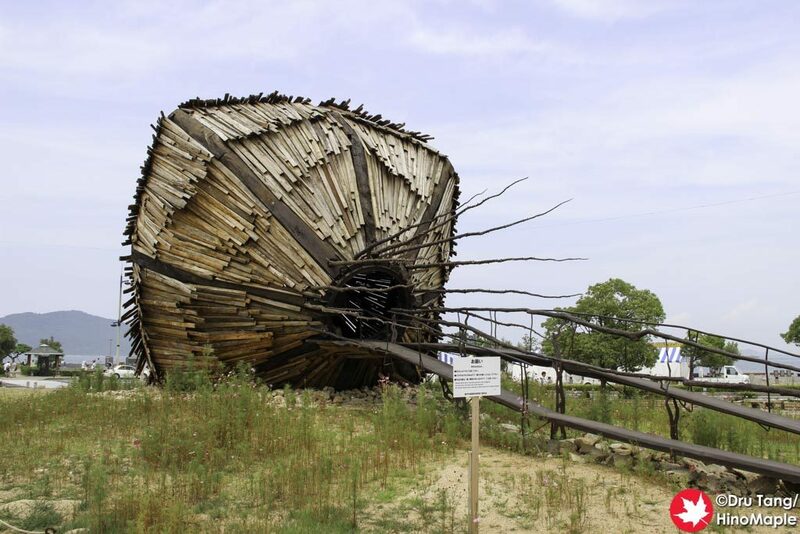 The artwork is also called a “seed ship” as it has travelled so much and it looks exactly like that. The interior is as you can imagine but it is quite interesting inside and well worth a visit. Banker, Nurse, Detective, Lawyer is an artwork with a statement by Julian Opie. Just as the title states, it is a set of 4 stones cut into the shape of 2D people: a banker; a nurse; a detective; and a lawyer. It is a very modern looking artwork and while I can see a lot of symbolism and wonder what it says about society, I didn’t feel much of a connection to the area. Aside from the stone being locally sourced, this could be in any modern city and it may have actually looked better if it was in a central area, such as the shopping arcade. I still like it and would consider checking it out again, but honestly, nothing is pulling me to do so. ALL AWAY CAFE by EAT&ART TARO was a very short food art concept. This isn’t art in the traditional sense and if you know anything about EAT&ART TARO you know what I’m talking about. In spring of 2013, I went to EAT&ART TARO’s event on Shamijima where I had a nice light soup that was curated from very old documents or from some other method and it was thought to be about 1000 years old. 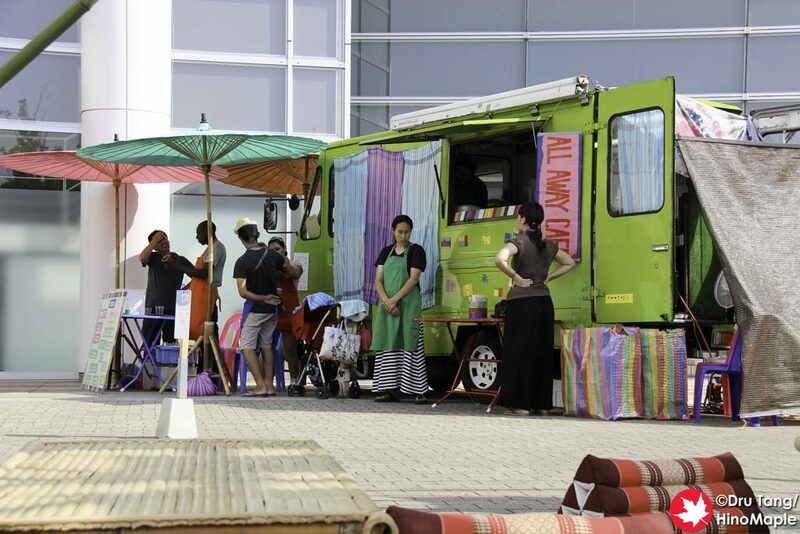 For 2016 he changed the concept and had a 1 week event, along with the Thai Factory Market. The food focused on South East Asian fusion and the people taking orders were not allowed to speak Japanese or English. They were all foreigners and they could speak various languages such as French or Spanish. It was a great way to learn how to order food in a foreign country and a great concept that had everyone smiling. Waiting for / Mr. Inland Sea is a hidden in plain sight artwork by Jun Homma. It is located at the bus terminal on the south side of Takamatsu Station; note that the Airport Limousine stops at northern bus depot. As you approach the bus terminal, you see the signs telling you that the artwork is there, and you think you can see it, but unless you are looking at it, you can easily miss it. 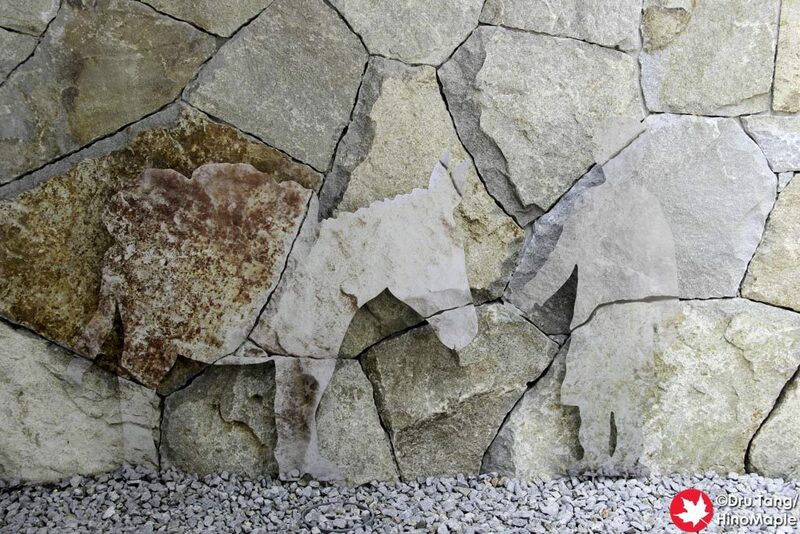 It is a couple of cut-outs that have the same image of the rock face behind it. I thought it was a very fun work but difficult to photograph and always busy with people. “I’m here!” is a very playful artwork by Kyoco Taniyama. 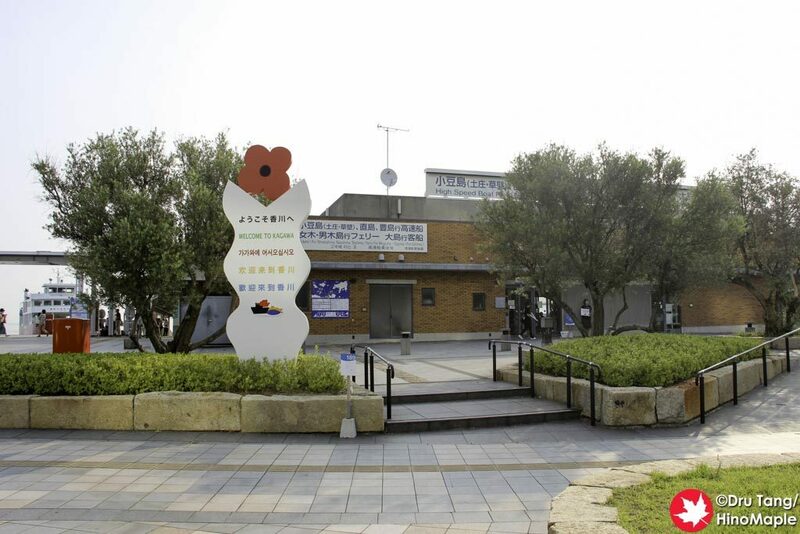 The artwork is located about 800m from Takamatsu Station, so you do need to plan a little time to head out there. It doesn’t take long to go there but it may not be worth a visit unless you plan to enjoy the pool in the summer. The artwork is supposed to be available only in the summer but even then you are not allowed to do a lot. 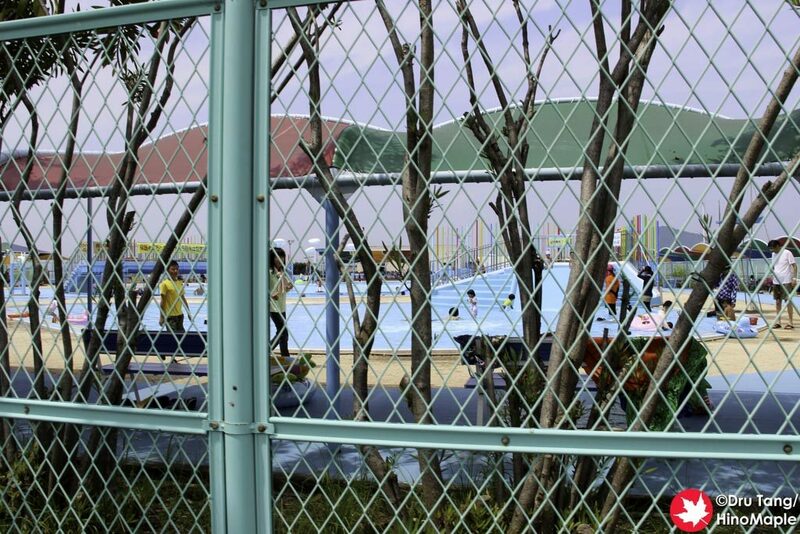 The artwork is actually part of a public pool for Takamatsu and you do have to pay to enter. Setouchi Triennale passport holders do get discounts, but there is a free viewing platform. Unfortunately, no photos are allowed from the viewing platform next to the pool. I thought the art was nice but unfortunately you can’t really enjoy it as much as you’d like. Wakeiseijaku-Harmony, Respect, Purity, Tranquility is an interesting artwork by Genichiro Inokuma. I didn’t really care for the art as much as I cared for the building that it was in. 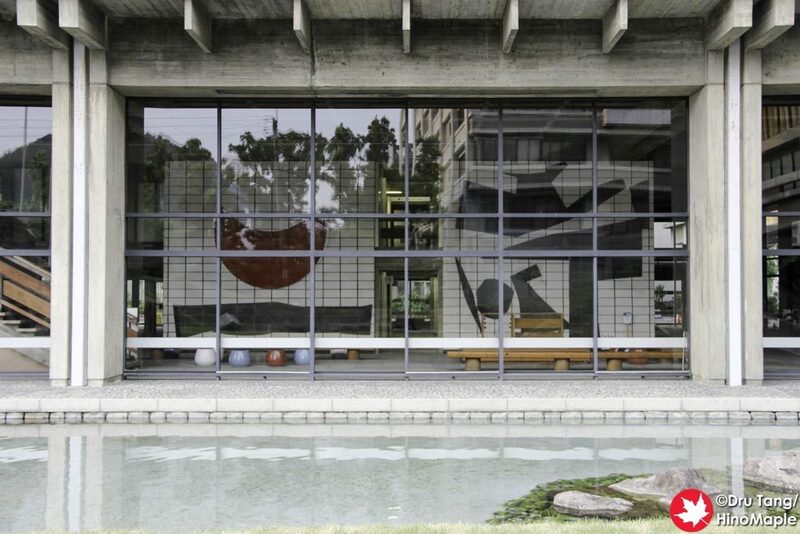 The artwork is located in the Kagawa Prefectural Office’s east hall, which was designed by Kenzo Tange, an award winning architect. The artwork is in the lobby of the first floor of the building and I was only able to appreciate it from outside as I arrived at the building too late to enter. It is a simple artwork but I was more impassioned with the building itself as I am a fan of Kenzo Tange. Welcome / Funny Blue is a very beautiful artwork by Véronique Joumard. There isn’t a lot of information about this but if you are planning to leave via Takamatsu Airport, you will probably see this artwork. 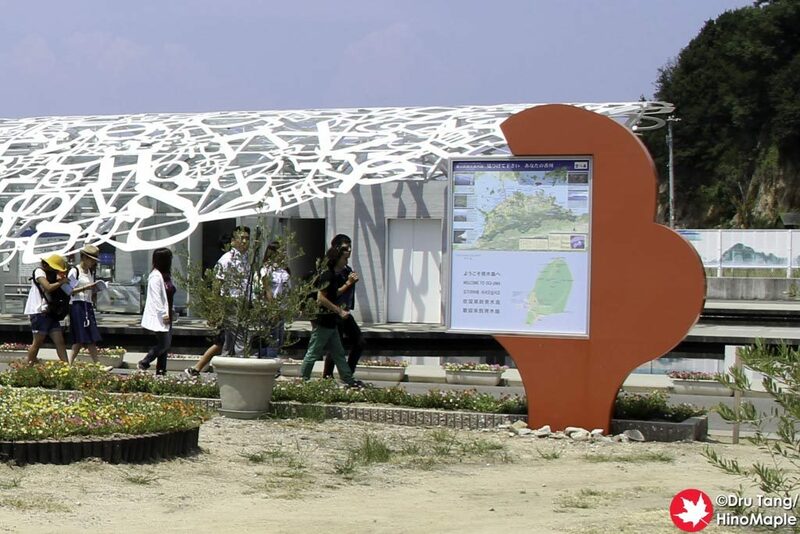 Located in the international side of the airport, the artwork consists of 2 points. First, there is a column of stretched gold fabric connecting the first and second floors. 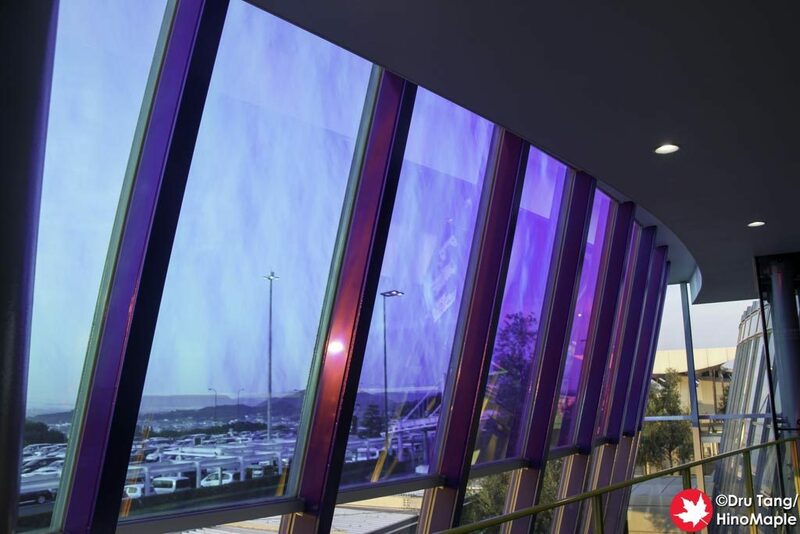 On the second floor, the windows have a special film that bends light and creates a purple and blue hue when the sun shines in. I found the artwork to be surprisingly simple yet beautiful at the same time. I missed the special film when I arrived but when I left Takamatsu I was able to enjoy the film as the sun set which meant the entire area was beautiful. Shishi-Odoshi is a playful artwork by Jin Hasegawa. The artwork is supposed to be a joint artwork between Japanese and Dutch artists, but I believe Shishi-Odoshi is completely designed by Jin Hasegawa. There is another artwork by a Dutch artist on Yashima that is different to Shishi-Odoshi. Shishi-Odoshi is just a series of animals done in a cartoonish style. It may sound simple but they are fun to see. They are scattered around the central area of Yashima and you need to hunt them out a little. 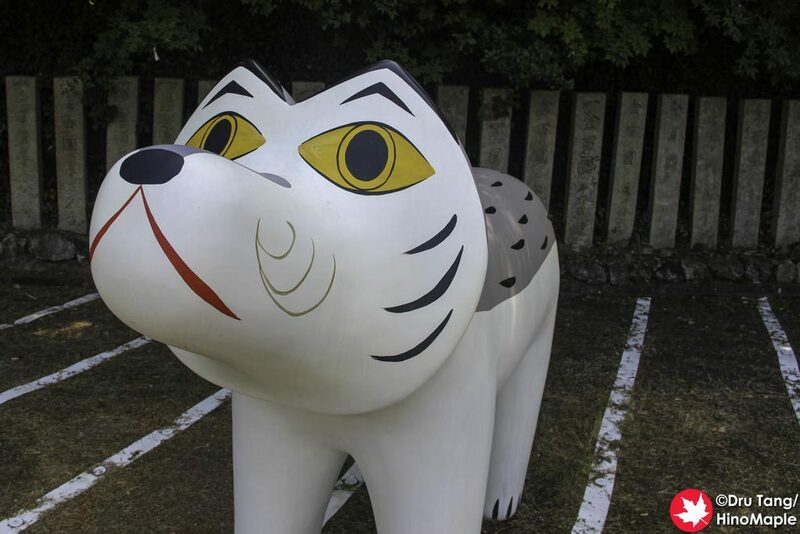 2 are located near the official entrance to Yashima Temple while another is located near the aquarium. It is a fun artwork that just begs to be touched, but the artwork looks a bit too fragile to do so. hi 8 way by John Körmeling is an electrifying artwork. 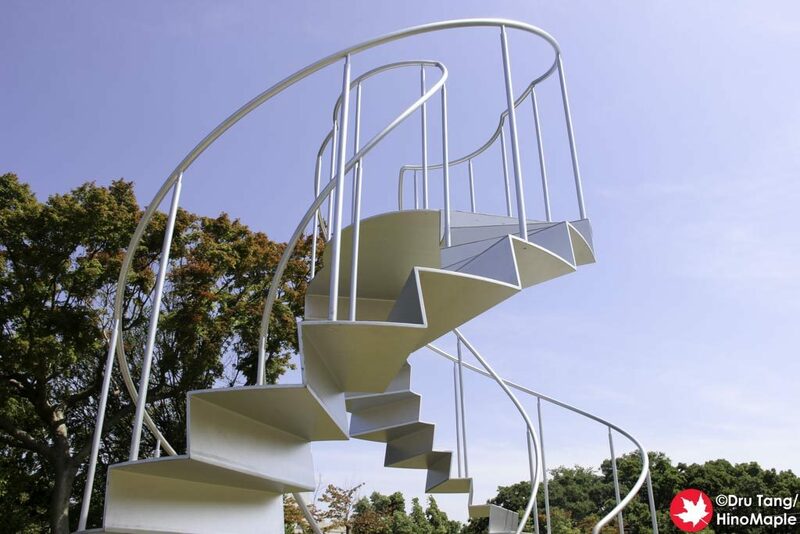 Pardoning the pun, the artwork is just a double helix staircase that is at the viewpoint of Yashima. It can be dangerous to be around this metal staircase as it acts as a lightning rod, so there are warning signs around it. The only problem I had with this is that the artist didn’t design it for people to actually go up the staircase! The artwork is just begging people to go up and get better views of the Seto Inland Sea, but unfortunately all I could do is look and take photos before leaving. Flower by José de Guimarães is a cute artwork that can be found on all islands of the Setouchi Triennale since at least 2013, although I cannot confirm it is on every island. Flower is basically an information board for each of the islands. There is information about the island each board is on and a general map of the region. Each Flower is painted a different colour as far as I can tell and there are special characters on top to represent each island. Happy Snake is also by José de Guimarães and I also believe it was created for the 2013 Setouchi Triennale. Similar to Flower, Happy Snake is a cute artwork that welcomes you to each island. Unlike Flower, Happy Snake just says hello to everyone in Japanese, English, Korean, and both traditional and simplified Chinese. I tend to overlook these Happy Snakes whenever I visit the islands but they are there saying hello and welcoming you at each port. The above is my own personal review of the art in Takamatsu. If you want to be surprised by the art, I recommend that you do not read more than what is written here. Links will follow the single paragraph describing the basics of the artwork when the posts are ready. Please keep an eye on the social media accounts (Facebook, Twitter, Google Plus) for information when they go live. Photos may also give away part of the art, but in this post, they are minimal. Spoiler alerts in individual posts will be given when it is necessary for you to enjoy the art for the first time. If you will not be going to the Setouchi Triennale, feel free to follow the links and read everything and enjoy it as best as you can. Links to individual art reviews will be coming in the following months as soon as possible. This entry was posted in Setouchi Triennale, Shikoku and tagged 2016 Setouchi Art Festival, 2016 Setouchi Triennale, japan, Setouchi, Setouchi Triennale, Takamatsu, Takamatsu Airport, Takamatsu Port, Triennale, Yashima by Dru. Bookmark the permalink.